I had the opportunity to receive the Cariloha Bamboo Bed Sheet Set from Cariloha so I could share my honest thoughts on it. The green minds would have all the exciting things in their mind about going green in the bedroom. But, this is another kind of green. It’s the eco-friendly green. There is a store that offers different products that make use of the resilient bamboo. The Cariloha store makes it possible for us to have environment-friendly linen in our bedrooms. The Cariloha Bamboo Bed Sheet Set king size is particularly attractive and relaxing in blue. This set is so soft, softer even than Egyptian cotton. It’s also hypoallergenic and anti-bacterial, which makes it great for families like mine with health considerations. Because of the natural properties of the bamboo woven into the fabric, the beddings are cooler and are able to wick away moisture from the body. I found the complete set of King Size fitted sheet, flat sheet, and a couple of pillowcases selling for $179 in their online catalog. That’s a reasonable investment in a safe and sustainable choice for you bedroom linen. It might sound odd that bamboo can be used in fabrics. But, the team of fun-loving innovative island-hoppers found the way to turn the hard and woody bamboo into ultra-soft materials that are comfortable and cool to use whether as clothes or as bedroom linen. Many have the feel of Cariloha bamboo apparel and bedding to that of silk and cashmere. While these other two materials require special care, apparel and bedding made of Cariloha bamboo can be machine washed – without bleach, of course. It is also not recommended to use fabric softener in washing bamboo linen. It’s already so soft anyway. The Cariloha Bamboo Bed Sheet also comes in other colors like sage, ivory, and tan. For cuddling up during the colder months, you can also get the satin edged Cariloha Bamboo Throw blanket. This, however, has quilt batting added into its core. I think I’ll stock up on all colors in the palette so that I can change my sheets as often as I want. Oh to feel these on my king size bed! Sooo soft and yet, green-can’t beat that combination. Would love to have these sheets. 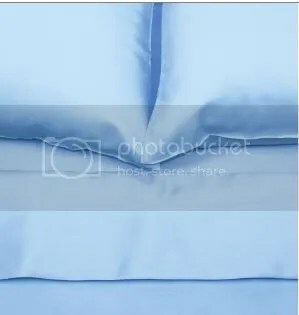 I need one good set of sheets because my boyfriend is always buying cheap ones from Walmart that rip! !